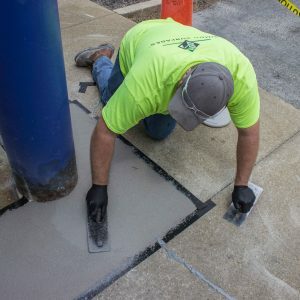 The concrete repair or resurfacing project at your facility is important, but that doesn’t mean it has to be stressful. Having a simple, straightforward solution is easier when you choose the right partner. Consider your contractor’s reputation, materials, and business model. We're a hybrid in the concrete resurfacing industry. Most companies in the concrete world work as either a manufacturer or a contractor. As a hybrid, Simon Surfaces takes on both roles, as both the manufacturer and installer. 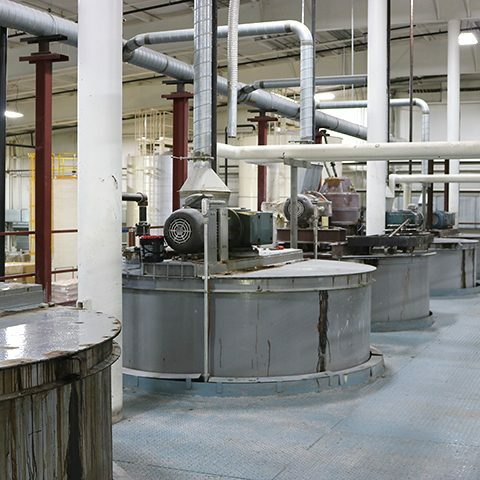 We create our own high quality epoxy products and employ our own well-trained experts to install them so we can maintain quality control throughout the entire process. When you make it, you know it. The Simon Surfaces business model simplifies (and expedites) the supply chain. We don’t have to stop and familiarize ourselves with materials. And since we’re the only ones installing the systems, we’ve very familiar with them so there’s no need to double-check standards and specifications with the manufacturer — because that’s us. Stands to reason that since we use our products in every project, we’re the specialty contractors who know best how to install it. When you install it, you own it. Our manufacturer-installer model simplifies communication, too. What happens if the project falls behind schedule or there are other problems? Finger-pointing. Installers blame the materials manufacturer. Manufacturers criticize the workmanship behind the install. Meanwhile, you are left in the middle and responsible for rectifying the situation. The Simon Surfaces business model is unique in our industry. We give you a start-to-finish partner for all of your commercial/industrial surface projects, whether it is a minor repair or a larger restoration. Contact us today to learn how we can make our unique business model work for you.